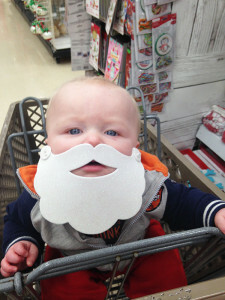 Photos will be run at no cost to our readers, but space is limited so get your photos in early. Deadline is Monday, December 19 by 5 p.m. and pictures with name and date of birth will appear in the December 22nd issue. We cannot guarantee return of photos. Show the community your precious gift! There are new changes in Michigan’s Personal Property Tax beginning this year. These changes exempt personal property from taxes under certain conditions. The Kent County Bureau of Equalization wants to be sure all property owners are aware of this new tax break, and that they file for exemption before a fast-approaching deadline. A taxpayer who owns, leases, or has possession of personal property, with a total true cash value of less than $80,000, may request the property be exempt by filing an exemption affidavit (Form 5076) with the local unit of government. The affidavit must be filed by February 10 each year in order to obtain the exemption. If an affidavit is not timely filed, the property will not be exempted. Property owners who file the affidavit are not required to file the personal property statement as they have in the past. Along with the deadline, there are provisions that prevent property owners from dividing up their property among different entities to fall under the threshold. In addition, the law requires the property owner to maintain records demonstrating the value of their personal property and make those records available to the assessor on demand. This is a significant change to the personal property tax law and property owners with questions are encouraged to contact their local Assessor’s office. For 2014 only, a taxpayer who misses the February 10 deadline may petition the March Board of Review to add the exemption; however, the Bureau of Equalization strongly recommends filing an exemption affidavit before the deadline. The Affidavit of Owner of Eligible Personal Property Claiming Exemption from Collection of Taxes (Form 5076) can be found at http://www.michigan.gov/documents/treasury/5076_439273_7.pdf or at your local Assessor’s office. 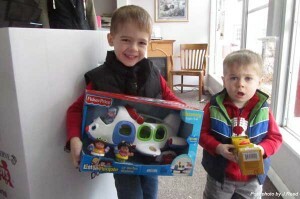 Marcus McCarty, 4, and brother Logan, 1, the sons of Angela and Eric McCarty, of Cedar Springs, were so happy to drop off toys in the Post Toys for Tots drop box last week. Have you dropped off your toys yet? Kids in our community need you to help! The official last day to collect is Monday, December 12. Drop off your new, unwrapped gifts in our box at 36 E. Maple Street, Cedar Springs. Put a smile on a child’s face this Christmas! WASHINGTON — The Internal Revenue Service opened the 2011 tax filing season by announcing that taxpayers have until April 18 to file their tax returns. The IRS reminded taxpayers impacted by recent tax law changes that using e-file is the best way to ensure accurate tax returns and get faster refunds. The IRS also reminded tax professionals preparing returns for a fee that this is the first year that they must have a Preparer Tax Identification Number (PTIN). Tax return preparers should register immediately using the new PTIN sign-up system available through www.IRS.gov/taxpros. The IRS will announce a specific date in the near future when it can start processing tax returns impacted by the recent tax law changes. Except for those facing a delay, the IRS will begin accepting e-file and Free File returns on Jan. 14. Additional details about e-file and Free File will be announced later this month. This is also the first filing season that tax packages will not be mailed to individuals or businesses. Taxpayers can still get any forms and instructions they need online at www.IRS.gov, or they can visit local IRS offices or participating libraries and post offices.